The ASCO Express program features a range of flow control products and accessories available for shipment the same day you order them. 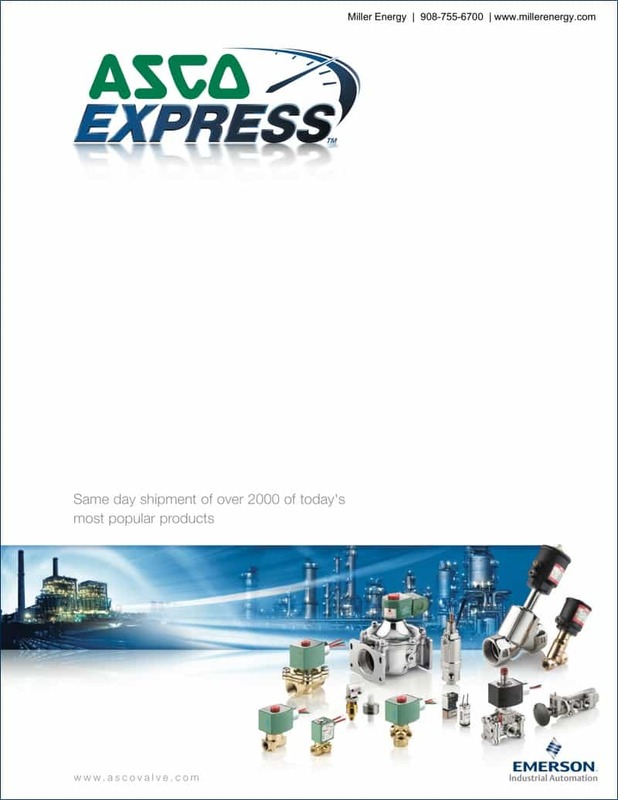 The products listed in this catalog provide the performance required for a variety of system and process applications including boiler, air handling, process control, and water and steam control. The control voltages available for each product are the primary voltages used in industrial and commercial applications today.